Minister for Health Robyn Lambley has today announced the Back On Track taskforce that will lead an action plan to increase the number of Aboriginal Health Practitioners in the Northern Territory. “It was wonderful to see that the Country Liberals Government’s Aboriginal Health Practitioners Back on Track plan received support from all sides of politics in Parliament today,” Mrs Lambley said. “In July I announced that we would boost the number of Aboriginal Health Practitioners across the Territory by 10 per cent a year. “Today I am pleased to announce that I have so far asked Aboriginal Medical Services Alliance NT chair Marion Scrymgour, AMSANT CEO John Paterson and Central Australian Aboriginal Congress CEO Donna Ah Chee to sit on the Back on Track taskforce. “I will chair the Taskforce and together we will concentrate on reaching these targets. 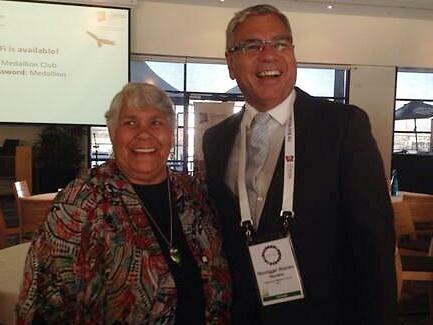 “We will work closely with community leaders, health managers and current Aboriginal Health Practitioners. “I am committed to ensuring that representatives from the Department of Health visit communities that have been left without an Aboriginal Health Practitioner for years, to work with the community to encourage people to train as Aboriginal Health Practitioners. “We need to know the barriers to successful outcomes. We need to find ways through those barriers, because as far as I am concerned, the result is too important to too many Territorians and their communities. “We cannot afford to let this fall by the wayside and fail our remote areas as the previous Labor Government did, if we are to see real progress in Indigenous health outcomes and economic opportunity in our remote communities. “Encouraging more Aboriginal Health Practitioners into health clinics across all areas of remote Australia is an important national health issue for Indigenous people. 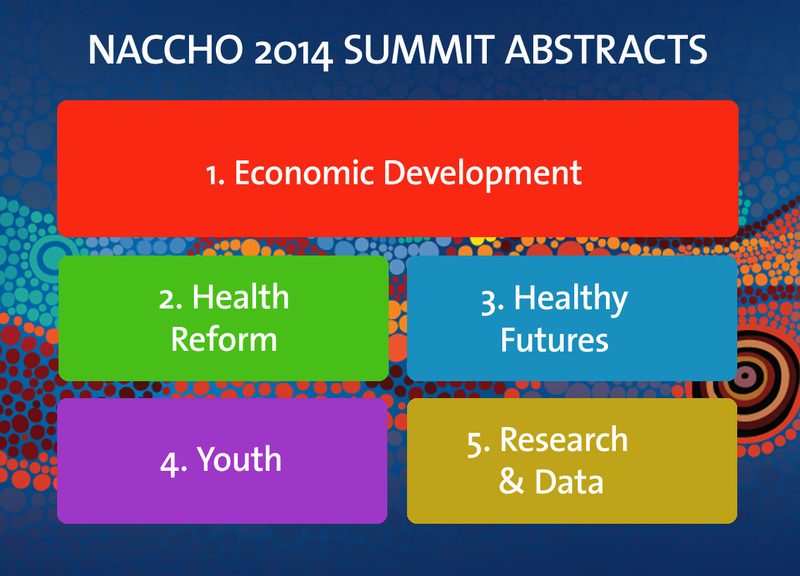 NACCHO Close the Gap Day : Will Government funding of $800 M be enough to Close the Aboriginal health Gap ? 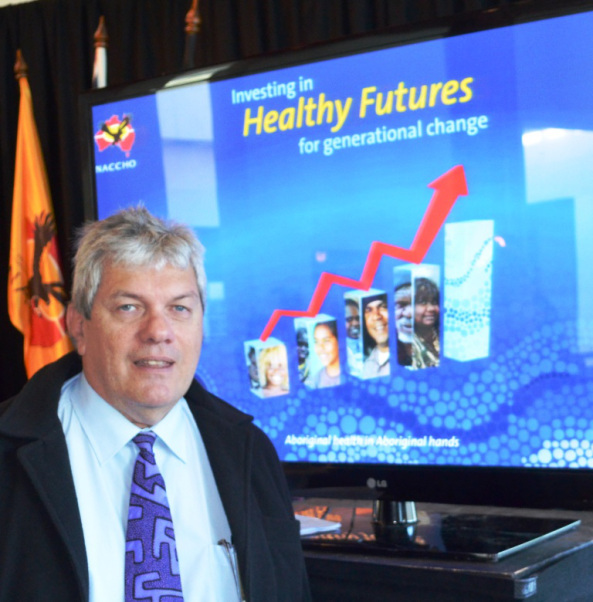 Will Government funding of $1.3 billion be enough to Close the Aboriginal health Gap ? “The government is responding to the call to Close the Gap with around $800 million in grant funding to organisations for Indigenous specific primary health and allied health care, the majority of which are Aboriginal and Torres Strait Islander Community Controlled Health Organisations (ACCHOs). ACCHOs deliver culturally appropriate and sustainable primary health care services to Aboriginal and Torres Strait Islander communities. Many communities have different cultures and histories so different needs may need to be addressed by locally developed, specific strategies,” . Unless the critical social issues of housing, education and self-determination that contributed to Aboriginal and Torres Strait Islander health inequality were adequately addressed, along with health funding, then it could take many generations to Close the Gap. “In many rural, remote and urban areas we have many generations of a family living under one roof with high unemployment ,low income, no food in the fridge and the kids unable to attend school or do their homework because of the overcrowded living conditions. The Aboriginal community controlled health services operate on multiple levels, and contribute significantly not just to cutting edge primary health care services, but to addressing some of the key social determinants as well, such as meaningful, employment, training, and leadership development. 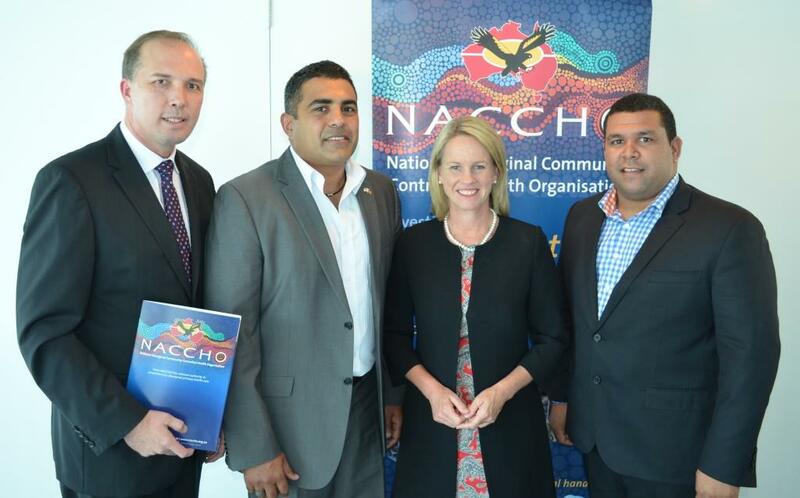 The importance of our NACCHO member Aboriginal community controlled health services (ACCHS) to Close the Gap is not fully recognised by governments. For a country rich in resources and opportunity, the Indigenous people of Australia do not share the same fortune when it comes to health. Aboriginal and Torres Strait Islanders can expect to live 10-17 years less than non-Indigenous Australians. The babies of Aboriginal mothers are twice as likely to die as other Australian babies, and in general Indigenous Australians experience higher rates of preventable illness such as heart disease and diabetes. These are startling statistics from a country that enjoys the privilege of having one of the highest life expectancies in the world. For a country rich in resources and opportunity, the Indigenous people of Australia do not share the same fortune when it comes to health. The reasons for the gap in Indigenous health are complex. Decades of discrimination, inaccessible health services, a misrepresentation of Indigenous Australians working in the health industry and failure to address root causes such as substandard education, housing and infrastructure all contribute. 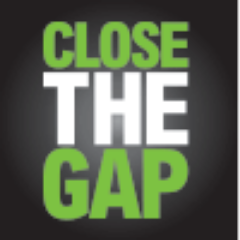 Oxfam’s National Close the Gap day is March 20, a day designed to create awareness, spark conversation and remind politicians on the inequality of health care that exists in our own country. Last year 145,000 people registered to support the campaign by holding a small event, like a morning tea, to discuss Indigenous health with family, friends and colleagues. Oxfam Australia’s Indigenous Rights Policy Advisor Andrew Meehan says support of the campaign has helped put Indigenous health back on the agenda with government officials. “Registered events this year have now hit a record of 1060, showing an undeniable groundswell of support from everyday Australians expecting governments to keep their promise to invest in Indigenous health. It’s clear Australians care about this issue and expect our leaders to act,” Meehan said. In 2008 The Council of Australian Government set a series of goals to decrease the general gap between Indigenous and non-Indigenous Australians. Earlier this year the progress of these goals were reviewed. In the areas of health, the goal of closing the life expectancy gap by 2031 has seen little improvement. Only the Northern Territory looks set to achieve this goal. More optimistic though is the goal of halving the gap in Indigenous mortality rates in children under five. If the current rate of improvement continues this goal is set to be achieved by 2018. A number of aid organisations and humanitarian groups are working tirelessly to do their bit to close the gap, One Disease at a Time is a not for profit organisation with the vision to systematically target and eliminate one disease at a time. Currently in its sights is scabies, a highly contagious skin disease which affects seven out of ten children Indigenous children before their first birthday. Left untreated, scabies can lead to chronic disease and even death. It can be disfiguring, children are forced to miss school and employment and personal relationships can be impacted. “Recognising the importance in giving kids the best start in life, one of our core program goals is to reduce scabies rates in children under five years old. Among children living in households with crusted scabies, we have seen an 88 per cent reduction in their time spent in hospital for scabies,” says founder of One Disease at a Time Dr Sam Prince. One Disease at a Time work closely within communities to achieve their goals, something Meehan says is a critical element in closing the gap. “We’re pushing the government to invest in community controlled health. These are the people better placed to identify the services that are actually required. Focusing on this area is also an investment in jobs, giving these people an opportunity into a health career path,” he says. Assistant Minister for Health Senator Fiona Nash says the government is responding to the call with around $800 million in grant funding to organisations for Indigenous specific primary health and allied health care, the majority of which are Aboriginal and Torres Strait Islander Community Controlled Health Organisations (ACCHOs). “ACCHOs deliver culturally appropriate and sustainable primary health care services to Aboriginal and Torres Strait Islander communities. Many communities have different cultures and histories so different needs may need to be addressed by locally developed, specific strategies,” she says. Further to this, a $1.3 billion dollar investment in 2013-14 has been pledged for health projects including child and maternal health and the management of chronic diseases with specific focus on reducing the factors that create risk for disease including smoking and diet. What current government initiatives are in place to tackle the gap in Indigenous health care? As most parents will know, healthy children are happier and more responsive, both at home and at school. We are committed to getting kids into school, adults into work and ensuring the ordinary rule of law applies in communities. This is important and cannot be achieved without a continued focus on good health. · ensuring a well-functioning and culturally appropriate health system and specific strategies and approaches to combat areas of concern such as trachoma, STIs, eye health and ear health. The Government will provide around $800m in grant funding to organisations for Indigenous specific primary health and allied health care, the majority of which are Aboriginal and Torres Strait Islander Community Controlled Health Organisations (ACCHOs). ACCHOs deliver culturally appropriate and sustainable primary health care services to Aboriginal and Torres Strait Islander communities. Many communities have different cultures and histories so different needs may need to be addressed by locally developed, specific strategies. The Government is working with Aboriginal and Torres Strait Islander people and organisations, and with state and territory governments, to implement programmes to reduce the disparities in life expectancy and health outcomes between Aboriginal and Torres Strait Islanders and non-Indigenous Australians. We are seeking change – improved access and outcomes across the breadth and depth of the health sector. 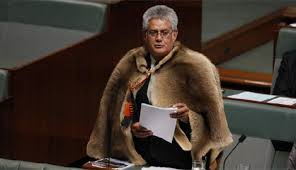 Indigenous Coalition MP Ken Wyatt has spoken out against the repeal of legislation making it unlawful to offend, insult, humiliate or intimidate on the grounds of race or ethnicity. Mr Wyatt told Fairfax Media he feared that repealing section 18c of the Racial Discrimination Act would either disempower the vulnerable or result in a hardening of intolerant attitudes. So it feels I’ve lost, and not just this argument. I feel now the pressure to stop resisting the Government’s plan to change the Constitution to recognise Aborigines as the first people here — a dangerous change, which divides us according to the “race” of some of our ancestors. My wife now wants me to play safe and stop fighting this new racism, and this time I’m listening. This time I was so bruised by Q & A that I didn’t go into work on Tuesday. I couldn’t stand any sympathy — which you get only when you’re meant to feel hurt. Bolt was found to have contravened Section 18C of the Racial Discrimination Act. Nine aboriginal applicants brought a class-action against Bolt and the Herald and Weekly Times claiming Bolt wrote they sought professional advantage from the colour of their skin. ”Australia has come a long way in the last 30 or 40 years and what I wouldn’t like to see is a regression that allows those who have bigoted viewpoints to vilify any group of people at all,” he said. ”For me, it is about not disabling a mechanism that makes people think carefully about the vilification of anyone or any group because they know there is a deterrent,” he said. His remarks came as Attorney-General George Brandis described the existing law as ”extremely invasive” and reaffirmed the government’s intention to ”do away” with it. Tony Abbott vowed in August 2012 to ”repeal section 18C in its current form” on the basis that freedom of speech should not be restrained ”just to prevent hurt feelings”. Ethnic, religious and indigenous groups have urged the government to think again, raising expectations that the words ”offend”, ”insult” and possibly ”humiliate” will be taken out of the section. Mr Wyatt said his attitude was shaped by his 10 years’ experience in Western Australia’s equal opportunity tribunal and witnessing how ”racial vilification has significant impacts on people in ways we don’t fully appreciate”. He believed that section 18c encouraged mediation and parties coming together to resolve conflicts and that its repeal would result in disempowerment of vilified groups or ”greater use of litigation, which doesn’t resolve the issue at all”. Senator Brandis has been meeting interested groups, focusing on how to strike the balance between free speech and protection from vilification. 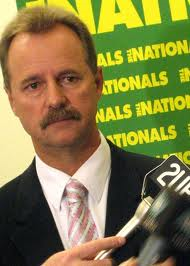 ”The government comes down on the side of those who want to see maximum freedom of speech,” he told ABC radio on Friday. STRANGE, after all I’ve been through, but Monday on the ABC may have been finally too much for me. You see, I was denounced on Q & A — on national television — as a racist. I watched in horror as Aboriginal academic Marcia Langton falsely accused me of subjecting one of her colleagues — “very fair-skinned, like my children” — to “foul abuse … simply racial abuse”. Langton falsely claimed I was a “fool” who believed in “race theories” and had “argued that (her colleague) had no right to claim that she was Aboriginal”. I had so hurt this woman she “withdrew from public life” and had given up working with students (something seemingly contradicted by the CV on her website). And when Attorney-General George Brandis hotly insisted I was not racist, the ABC audience laughed in derision. Not one other panellist protested against this lynching. In fact, host Tony Jones asked Brandis to defend “those sort of facts” and Channel 9 host Lisa Wilkinson accused me of “bullying”. 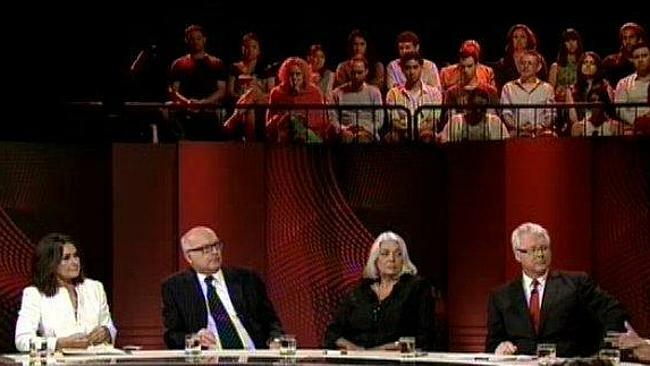 And all panellists agreed Brandis should drop the government’s plan to loosen the Racial Discrimination Act’s restrictions on free speech, which the RDA used to ban two of my articles. 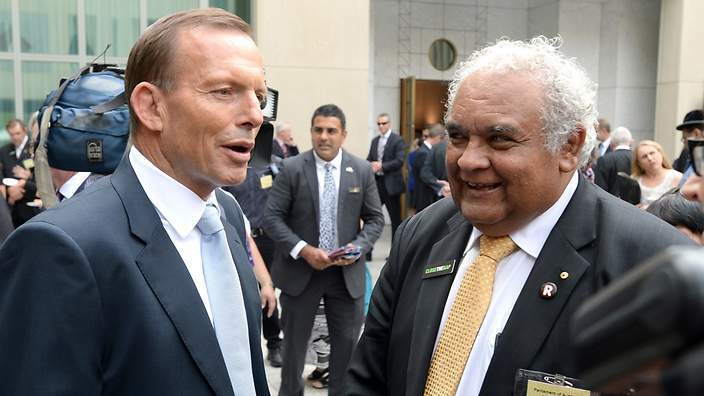 Can the Abbott Government resist the pressure from ethnic and religious groups to back off? It was scarifying, even worse than when a Jewish human rights lawyer told a Jewish Federal Court judge that my kind of thinking was “exactly the kind of thing that led to the Nuremberg race laws” and the Holocaust — a ghastly smear published in most leading newspapers. That time, at least, half a dozen Jewish and Israeli community leaders and officials, who knew my strong support for their community, privately assured me such comments were outrageous and the attempt by a group of Aboriginal academics, artists and activists to silence me wrong. True, none said so publicly for the next two years for fear of discrediting the RDA, which they hope protects them, yet it was some consolation. How could I have failed so completely to convince so many people that I am actually fighting exactly what I’m accused of? The country’s most notorious racist today is someone whose most infamous article, now banned by the Federal Court for the offence it gave “fair-skinned Aborigines”, actually argued against divisions of “race” and the fashionable insistence on racial “identity”. It ended with a paragraph the court does not let me repeat, but which I will paraphrase as precisely as my lawyer allows: Let us go beyond racial pride. Let us go beyond black and white. Let us be proud only of being human beings set on this country together, determined to find what unites us and not to invent racist excuses to divide. Yet I am not asking for your sympathy. My critics will say I’m getting no more than what I gave out — except, of course, this is more vile and there’s no law against abusing me, or none I’d use. No, what’s made me saddest is the fear I’m losing and our country will be muzzled and divided on the bloody lines of race. I worry, for instance, for the kind of person who turned up in the Q & A audience on Monday and still dared ask why so much land was being returned to Aborigines when “really we’re all here, we’re all Australians”. He was shown the lash just used to beat me. He was corrected (rightly) for overstating the effect of land rights laws but reprimanded (wrongly) for allegedly ignoring Aboriginal disadvantage, as if he were some, you know, racist. No panellist addressed his deepest concern, that we are indeed all in this together, yet find ourselves being formally divided by race and by people only too keen to play the race card against those who object. Langton is an exemplar of those who use the cry of “racist” not to protect people from abuse but ideas from challenge. She’s accused even feminist Germaine Greer of a “racist attack” for criticising Langton’s support for federal intervention in Aboriginal communities. And three years ago Langton wrote an article in The Age falsely claiming I believed in a “master race” and “racial hygiene” — like the Nazis. It was a public vilification for which she privately apologised two years ago, but never publicly. Instead, she now accuses me of this “foul abuse” of her colleague, Dr Misty Jenkins, in a column six years ago. HER allegations are utterly false. My column, written before my now-banned articles, was on the groupthink Leftism at Melbourne University, of which I gave many examples. I wrote: “Read the latest issue of … the university’s alumni magazine … The cover story argues that the mainly black murderers (in the Deep South) … are victims … Page two promotes Kevin Rudd’s apology … Page three announces that Davis has picked … global warming alarmist Ross Garnaut, as one of his Vice-Chancellor’s Fellows. Where’s the “foul abuse”, Marcia? Where have I “argued that [Jenkins] had no right to claim that she was Aboriginal” — something I have never believed and never said of anyone? But that’s our retribalised Australia. Criticise the opinions of someone of an ethnic minority and you’re ripe for sliming as a racist. How dangerous this retreat to ethnic identities and what an insult to our individuality. And how blind are its prophets. Take Lisa Wilkinson, who actually uttered the most racist sentiment of the night, accusing Brandis of being a “white, able-bodied heterosexual male” suggesting this was “part of the reason why you can’t sympathise” with victims of racism. White men can’t sympathise? Pardon? And so today’s anti-racists become what they claim they oppose. Do I resist or run? “I’d like to take a moment to acknowledge the GPRA as one of the many organisations dedicated to improving indigenous health outcomes and capacity of the indigenous workforce. The Indigenous General Practice Registrars Network, which is now co-ordinated by GPRA, provides a forum for Aboriginal and Torres Strait Islander registrars to provide professional and cultural support for one another. The GPRA is also very committed to the Australian Government’s Closing the Gap campaign and to supporting Aboriginal and Torres Strait Islander registrars on their way to becoming GPs. For the past four years I have spoken at the GPRA’s annual conference while in Opposition, so I’m pleased to have the opportunity to address this event as the Minister for Health. Firstly thank you to the GPRA for continuing to look for innovative ways to further improve the quality of Australia’s health care through higher standards of education and training. These conferences play an important role in the future of the health care sector, providing an opportunity for leaders in the field to share ideas and investigate ways we can support the next generation of GPs to provide the standards of care that Australians need and deserve. Thank you also for your important work representing the nation’s future GPs – and I note the importance of the theme you have chosen for this conference –transforming communities – and your focus on the role of technology in the future of general practice. New technology and social media have been transformative forces in modern Australia, touching virtually every aspect of our daily lives. I suspect your experience with Twitter is a little different to mine. The many new young registrars we have coming through today, many of whom will be tomorrow’s GP in communities throughout Australia, are high users of online tech both personally and professionally. You are part of a new generation of physicians for whom new online technology and social media tools will greatly influence their professional life. This opens up new opportunities – both for GPs as well as the communities and patients they support. A large part of the challenge we face today is the need to think about how we can better utilise those tools to better support you – to help you do your job more efficiently and effectively, and to achieve better outcomes for patients. From a Government’s perspective the remuneration around these challenging models is a great challenge. But there are some other important issues that I’d like to talk about that go to the issue of transformation. I’ll begin by reiterating some of the key points about Australia’s health system. It is important to any conversation about future workforce planning. will fall short of servicing the nation’s health needs over the coming years and decades. Total expenditure on health care in Australia increased to $140 billion in 2011-12. That’s around $6200 per person per year. Only a decade earlier, the yearly figure was only $3300. The pressure points are many—our ageing population, costs of new medical technologies, genomics, dementia, obesity, mental health and personalised medicines, to name a few. At the moment, the Government is awaiting the findings and recommendations of the Commission of Audit and we will respond accordingly. However, it won’t be a shock to anyone that the upcoming Budget will be tough – it has to be. In short, we need to transform our health system. We need to take what is currently a 1980s model and transform it into an effective, efficient and stable system of health that delivers all Australians the quality care they need right now, as well as into the future. Ten per cent of Australians utilise 46 per cent of MBS services. Clearly the system is not working for them. To reduce the impact on services, we have a plan to improve efficiency, reduce duplication and red tape, redirect funding to patient services and continue to build a highly skilled health workforce. In regards to the health workforce, there are both short and long term challenges to consider. In the short term, we need to consider what the taxpayers’ investment is buying and where expenditure provides the greatest value for money. In the long term, we need a stronger, more strategic focus in regards to workforce planning to ensure we have a sustainable and increasingly efficient health workforce. I can say unequivocally that general practice will be at the front and centre of our plan. The Australian Government is committed to rebuilding general practice and putting GPs back at the centre of our health care system. Now more than ever, the role of the GP is evolving. I don’t need to tell anyone here today that patient health is becoming increasingly complex, with emerging challenges such as the growing burden of chronic disease, technology and the ageing population to name but a few. One-third of Australia’s burden of disease is due to ‘lifestyle’ health risks such as poor diet, obesity, physical inactivity, smoking and alcohol misuse. The number of overweight and obese adults continues to rise, with nearly two out of every three adults classified as overweight or obese. Similarly, diabetes rates in adults have risen over the past decade. Add to this the increasing consumer expectations regarding their health care, workforce pressures, inequity of services in some areas, and a challenging economic environment, and the need for a skilled and adaptable GP workforce has never been greater. While there is concern around the increase in medical graduates, we are working with the private sector and the state and territory governments to ensure that training capacity for doctors—including GPs—is better managed through the development of national medical training plans. As I’ve said many times before, I believe significant productivity gains can—and must—come through a combination of improved public sector efficiency and bold new ideas from the private sector. We should be leveraging the private sector, not just for services, but also to meet workforce training challenges. This Commonwealth Medical Internship initiative is one example of how this can work, and it will foster a strong network of private hospitals which can train interns, boosting the nation’s medical training capacity. In some regions, such as Bundaberg, public and private partnerships have developed as a result of the initiative, giving interns invaluable experience in a variety of healthcare settings. We will also keep working with states and territories to help them streamline their internship training systems, and I hope to update you on this work in the near future. Priority for new training positions will be in rural and regional areas to help bolster the medical workforce in communities who need them most. And each Commonwealth funded intern has a rural return of service obligation. This year alone, there will be 76 more doctors working in Australia than would otherwise have been the case. I’d like to take a moment to acknowledge the GPRA as one of the many organisations dedicated to improving indigenous health outcomes and capacity of the indigenous workforce. Doctors need to be equipped to deal with the special health needs of Aboriginal and Torres Strait Islander people, especially in remote settings and the Remote Vocational Training Scheme – though small – is helping to deliver this much needed support. I announced during the election campaign that in Government we would invest $119 million to double the Practice Incentive Program (PIP) teaching Payments for GPs who provide teaching opportunities. We are implementing that promise. Rural and remote general practitioners will receive an additional benefit due to the rural loading that applied under the PIP in recognition of the additional challenges that these practitioners can face. We are also committing $52.5 million in infrastructure grants to help rural and regional general practices build their training infrastructure, so that they can train more students, more junior doctors and more registrars. These grants will be provided based on an equal commitment from the practice. This will leverage private investment and help ensure the most efficient and productive use of the taxpayers’ dollars. Before I finish, I’d like to take a moment to address the GP Registrars in the room this morning. There’s no doubt that you are embarking on your careers at a challenging—but very exciting—time for Australia’s health system. Throughout your careers you’ll have many opportunities to help many people in many communities – and that gives me great confidence. The Ngaanyatjarra Health Service (NACCHO member) provides health care to 2300 people living in a dozen communities across the Great Victorian and Gibson Deserts of central WA. Chief executive Brett Cowling said the burden of chronic disease was “huge” and still growing in many remote areas. PICTURE ABOVE : Foodbank WA runs breakfast programs in more than 400 schools across the state, providing shelf-stable food and working with communities to make positive health behaviour changes. WOULD you pay about $9 for six mushrooms at your supermarket in Perth? Or a similar amount for a piece of broccoli? Probably not – but this is what people living in some of the most remote parts of WA are being asked to fork out for fresh produce. The cost of fruit and vegetables in some of the state’s indigenous communities can be as much as three to four times that of supermarkets in Perth. It is a cited as one of the reasons for the high rate of chronic health problems, including obesity, diabetes and renal failure, in Aboriginal communities. – Aboriginal and Torres Strait Islander Australians have the fourth highest rate of type 2 diabetes in the world. – It is estimated 10-30 per cent of Indigenous Australians may have the condition, but many are undiagnosed. – Rates are between three and five times higher compared to non-Indigenous people in all age groups over 25 years. – 39 per cent of the Aboriginal population over the age of 55 has diabetes. – Deaths from diabetes were seven times more common for Indigenous people than for non-Indigenous people between 2006 and 2010. – Hospitalisations for kidney complications among Indigenous people are 29 times higher than for other Australians. University of South Australia researcher Kerin O’Dea wants nutritious food to be subsidised and for doctors in remote areas to prescribe food like medicines. “I feel strongly that we should as a nation have some kind of way of giving people in remote parts ccess to fresh food at capital city supermarket prices. It wouldn’t cost us much in relative terms,” she said. She advocates a junk food tax to reduce the cost of fresh food and encouraging more locally produced food. 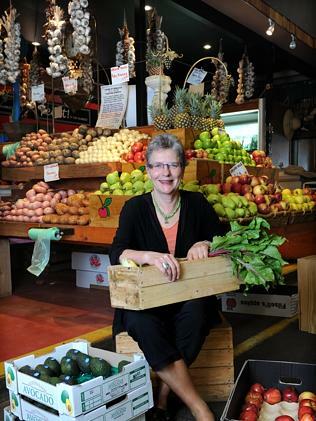 The idea of subsidising fresh fruit and vegetables was supported by Winthrop Professor Jill Milroy of the Poche Centre for indigenous Health at the University of Western Australia. “Getting good, healthy food is really important and it needs to be addressed. It probably has to be subsidies because there is a lot of cost factors in getting food up there,” she said. Department of Health nutrition policy adviser Dr Christina Pollard said the cost of healthy food was up to 29 per cent higher in rural areas compared to capital cities. Welfare recipients also need to spend 50 per cent of their disposable income to achieve a healthy diet compared with 15 per cent nationally, the author of the Department’s Food Access and Cost Survey said. “To get the food there, to keep it fresh and of good quality costs a lot more,” the adjunct researcher at Curtin University said. The Ngaanyatjarra Health Service provides health care to 2300 people living in a dozen communities across the Great Victorian and Gibson Deserts of central WA. But he said the problem was being tackled, and in some cases reversed, by the communities themselves. At community-owned stores the price of fresh food is being kept low by not applying transport costs and in some areas full-strength soft drinks have been pulled from the shelves. “Subsidies are being discussed, and are an option, but I have seen the same results through good community governance and where the community have worked towards that outcome themselves,” he said. Outback Stores was established six years ago to ensure food security in remote communities and today manages 10 community-owned shops in Western Australia. Chief executive Steve Moore said by keeping the cost of fresh food low consumption of fruit and vegetables was up 13 per cent compared to last year. The sale of water bottles has also more than doubled since the firm did a deal with Coca-Cola Amatil to sell 600ml bottles of its Mount Franklin water for $1. “I don’t believe a subsidy or a tax will solve the problem,” he said. “We are making ground, but it’s small steps. It’s time and education that will make the difference. 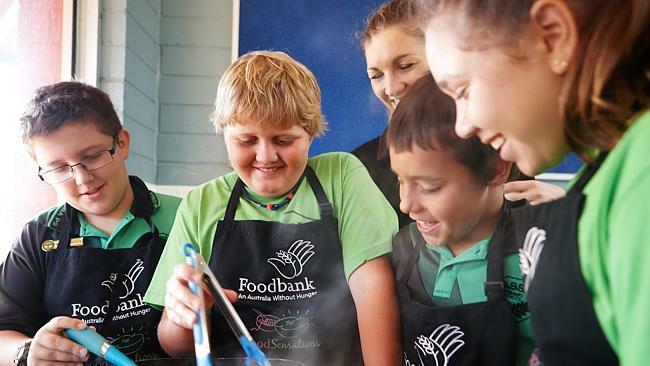 Foodbank WA runs breakfast programs in more than 400 schools across the state, providing shelf-stable food and working with communities to make positive health behaviour changes. As well as getting around the high costs by supplying frozen and tinned produce, Foodbank encourages residents of remote communities to use bushtucker. “Traditional methods are important and it’s important culturally to keep those going,” Stephanie Godrich, Foodbank WA regional strategy co-ordinator, said. What is in a 600ml bottle of cola? 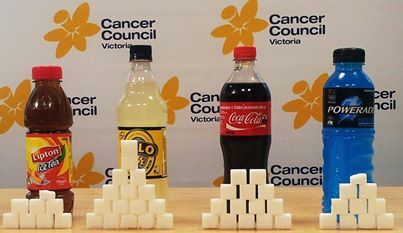 How much sugar is in your favourite drink? NACCHO health political alert : Minister Dutton tells NACCHO board he awaits audit to decide the future of the health system. 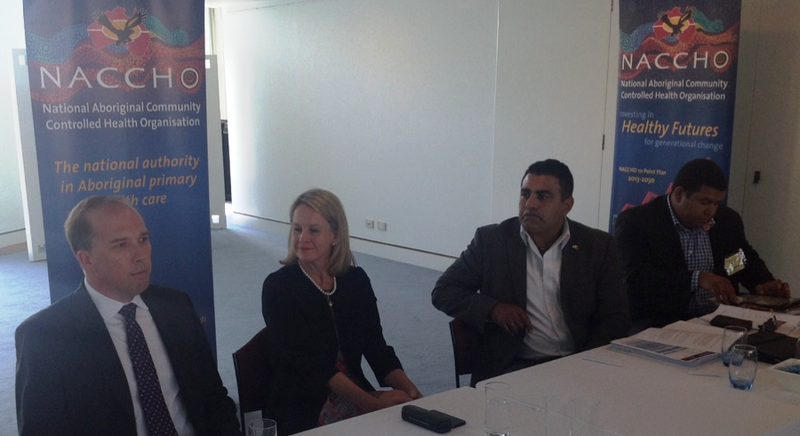 Health Minister Peter Dutton and Indigenous Health Minister Senator Fiona Nash (pictured above meeting with the NACCHO Board at Parliament House Canberra yesterday) told the NACCHO board they are awaiting the findings of the budget Commission of Audit, along with reviews of Medicare Locals and electronic health records, to decide the future of the health system. Mr Dutton declared the system to be “riddled with inefficiency and waste” and foreshadowed changes to Medicare, with private health insurers likely to play a greater role and wealthy Australians asked to pay more for their care. PUBLIC hospitals are wasting up to $1 billion a year and should be held to account for inefficient and substandard medical care, the Grattan Institute has warned. In a report released last night, the think tank headed by long-time reform advocate Stephen Duckett has called for activity-based funding to be accompanied by measures that would reduce costs and rein in health inflation. The institute’s report calls for states to exclude abnormally high costs from activity-based funding calculations to ensure the new average prices “drive hospital costs down towards achievable benchmarks”. “But the reform won’t work on its own, the report concludes. “Tackling avoidable cost has to be at the heart of how the whole system works. Last year, health fund Bupa and private hospital operator Healthscope entered into an Australian-first, quality-based funding system. Under the arrangements Healthscope forgoes payment from the insurer if it makes a serious mistake treating any of its 3.5 million members, with reward payments likely to be considered in future for above-standard care. Mr Dutton at the time welcomed the arrangements and said he expected providers to be more transparent and release data on avoidable costs. “If we can bring that pressure to bear on both the public and private systems, we will end up with better health outcomes,” he said last October. Mr Dutton has not taken the issue further and the so-called “budget emergency” has put any intergovernmental health reform talks on hold. Treasury officials are working on a formula to determine whether health spending is sustainable. 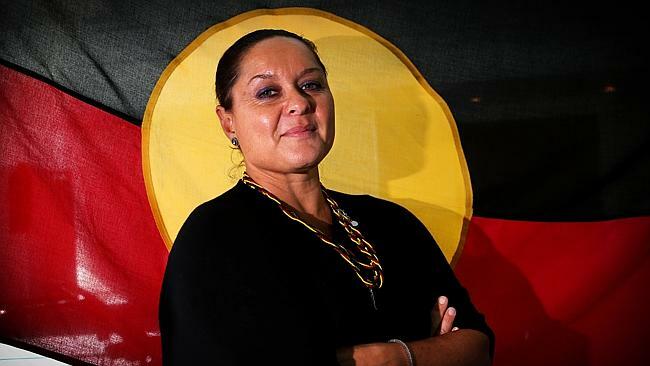 ABORIGINAL doctor Ngiare Brown and NACCHO Executive Research Manager has vowed to use her new role as deputy head of Tony Abbott’s indigenous council to argue that cuts to indigenous health or education would be detrimental to efforts to close the disadvantage gap. Dr Brown, who was in one of the first groups of Aboriginal medical graduates in Australia and previously an indigenous health adviser to the Australian Medical Association, was yesterday appointed as Warren Mundine’s deputy after receiving the backing of council members and the Prime Minister. In an interview with The Australian, Dr Brown said she supported the priorities of the new council to boost school attendance and enhance economic independence. Given her background in health, she would also articulate the need for better health for indigenous people. Mr Mundine said Dr Brown was a fantastic choice for deputy. In January, Mr Mundine said it was unrealistic to expect indigenous affairs spending to be immune from expected budget cuts and that, despite being the head of Mr Abbott’s indigenous advisory council, he could not cast a “force field” to exempt Aborigines from the broader budget agenda. Dr Brown said she believed existing funding could be better spent, with less on bureaucracy, but urged that there be no net reduction in health and education. “It is about school attendance but also performance and successful completion, pathways into opportunities into employment and further education,” she said. She said she was “absolutely” worried about cuts. She said if targets were to be achieved, cuts should not come from indigenous affairs.